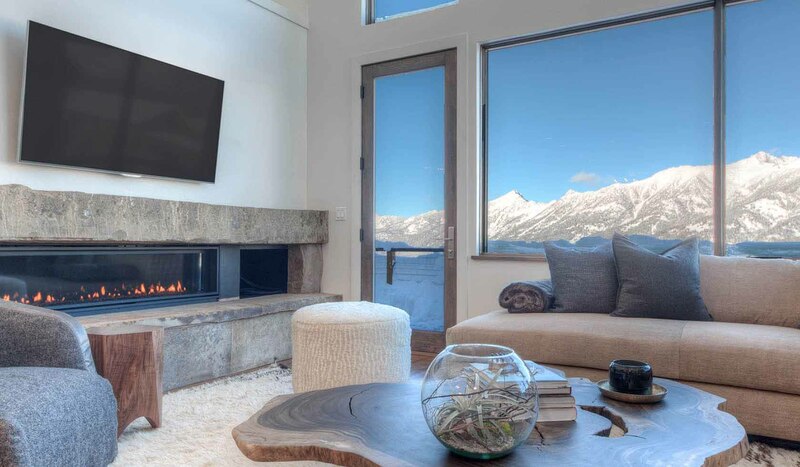 3 Bedrooms, 3 Bathrooms, Occupancy 8, Ski In and Ski Out Access A Sophisticated Mountain Cabin. This cabin affords expansive view corridors of the Spanish Peaks, while meandering ski trails and bridges ensure effortless ski access through a meadow like setting. This 1,677 sq. ft cabin has great ski access on the mountain and will accommodate a group of up to 8 people. Open floor plan with vaulted ceilings, providing plenty of space to entertain family and friends. Thoughtfully designed, this three bedroom cabin maximizes on views in all directions. Intimate and luxurious interiors lend a hand to help unwind after a day of adventure.